Oh, this is a sweet little miss! I love everything about her, from her name to her itty-bitty-ness. 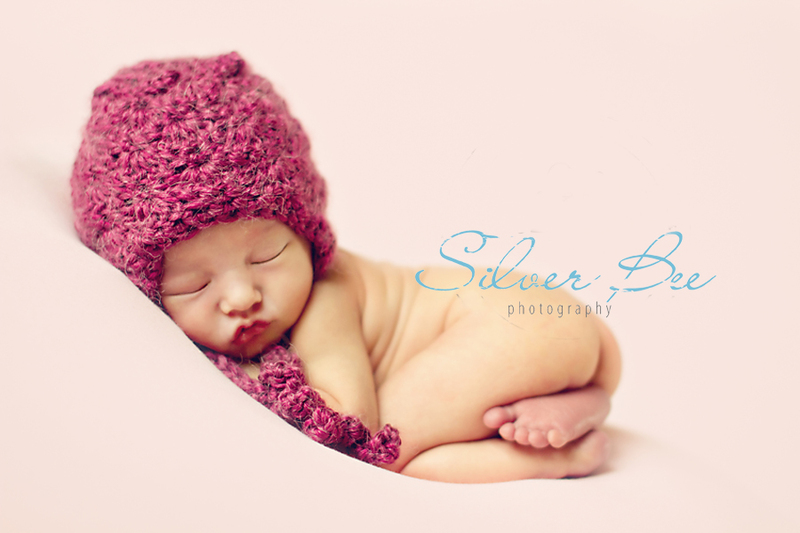 She is so tiny and was a perfect little lady the entire session. She didn’t even make a mess…which most newborns do. So yeah, for easy clean up! I couldn’t resist this color combo. Something so great about gray and pink. Maybe because I have boys and lots of boy colors around here I am loving all the color! The textures are vivid and you know I can’t get enough of the pink flokati rug! This little hat only fits the littlest of heads and she wore it perfectly. My gosh, I could just scoop her up in one arm she is so little. 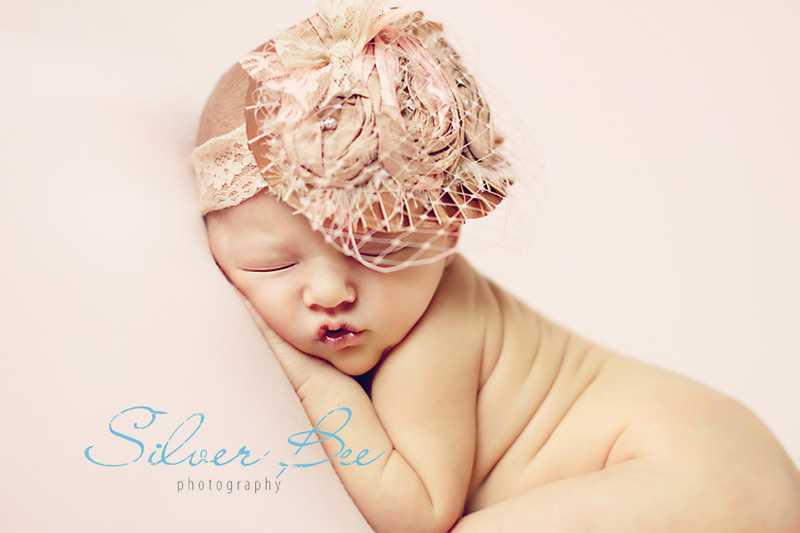 Love this hat from Bean Bailey and the color was so perfect with her skin color! Her mama was short on time and needed to pick up her brother from pre-school. Little Paisley must have known that she needed to be a good baby and get through all the poses in time. So nice of her to cooperate and get her brother picked up on time. She may just have been one of the tiniest baby girls I have worked with. She almost just snuggled herself right into pose. So sweet and cuddly. This headband is from a client of mine….who I love…She has three baby girls and it was time to donate this to me as I love it so! So cute with creamy pink backdrop and beautiful creamy skin. 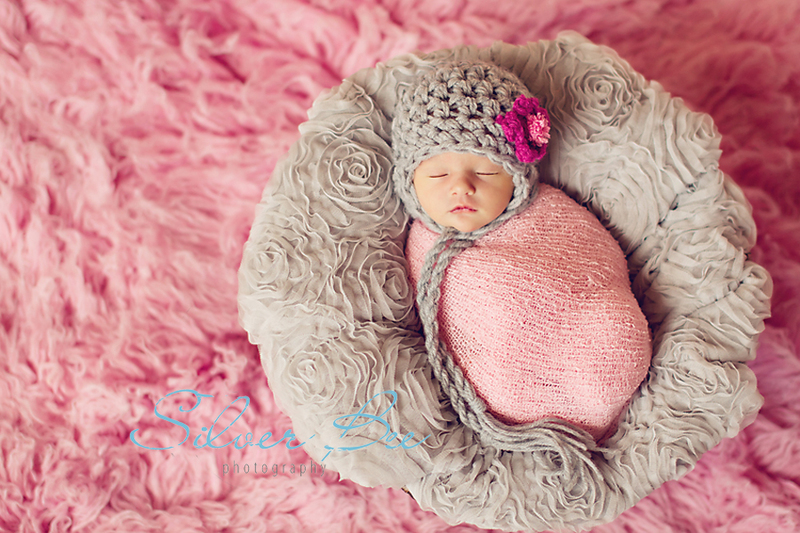 Paisley you are one cute little baby girl and you were such a joy to work with. Thank you again so very much for being a perfect little one. So happy we met and I have no doubt there will be great things coming your way.